The dream of Cecil John Rhodes, to construct a railway line from the Cape to Cairo, failed. Few phrases have become so familiar to the ear as from the "Cape to Cairo." It is a phrase that has made history, though perhaps not so rapidly as its creator anticipated. The distance from Capetown to Cairo, as the crow flies, is about 4200 miles. In the popular imagination the Cape-to-Cairo railway of the future presented itself as a continuous line of railway running more or less straight between these points, with branches connecting the central trunk line with the various ports upon the east and west coasts of the continent. When Cecil Rhodes first cast his eyes from north to south, and conceived the idea of binding the two extreme points of the African continent together, there is no indication that he experienced great difficulty in finding a title for his undertaking. There was Cairo in the north, and Cape Town in the south. He aspired to join the two by rail. Consequently, from the "Cape to Cairo" was obvious. Probably the alliteration caught his fancy, and conveyed his complete thought so forcibly in three words, and in a manner that could not fail to impress the public, that it inadvertently flew through his mind. When the materialisation of this vision commenced, the general knowledge of the interior of the continent had not been widened very appreciably since the travels of Livingstone and Stanley. It was "Dark" in the truest sense of the word, and conquest either by the mysteries of peace or the arts of war was necessary before the steel rail could be driven either northward or southward. However, it was determined to carry the idea to fulfilment—the question of the penetration of the hostile country could be taken in hand when the railway was within measurable distance of its borders so far as Rhodes was concerned, while in the north the English Government had decided to settle terms with the Mahdi. Although Rhodes' great scheme was for a continuous steel road from north to south, this idea had to be modified in order to meet unexpected conditions, which at the time of the railway's inception were not apparent. Except for passing through Ethiopia, the Cairo to Cape Town Highway roughly coincides with proposals for the Cape to Cairo Road in the early 20th century. Rhodes was motivated by a desire to extend the "civilizing" element of the railroad, lay claim to and unite British provinces from the Cape to Cairo, and increase his personal fortune from mineral exploitation. Of greatest importance to the furtherance of rail lines in Southern Africa was Rhodes' political cunning and his ability to secure financing, all in an effort to "extract maximum political advantage with minimum financial outlay." The idea and the phrase was attributed to Sir Charles Metcalfe, and though the scheme owed much to the powerful personality of Mr. Cecil Rhodes, it did not suffer in any way through his death. In 1888, Cecil Rhodes obtained a concession for mineral rights from local chiefs. Later that year, the area that became Southern and Northern Rhodesia was proclaimed a British sphere of influence. 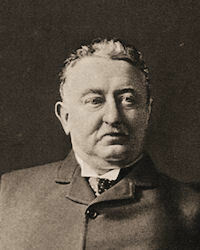 The British South Africa Company was chartered in 1889, and in 1890 Cecil Rhodes reached the pinnacle of his political career when he was elected Prime Minister of the Cape Colony. In 1895, the territory was formally named Rhodesia after Cecil Rhodes under the British South Africa Company's administration. Rhodes' ultimate objeective was to gain control of the two neighboring Boer republics, which led to his downfall. He conspired to overthrow the government of Paul Kruger, and once Rhodes was implicated in the disastrous Jameson Raid on the Transvaal Republic, he lost all poitical support and resigned as premier in 1896. In 1897 Rhodes was censured by the British Parliamenthim for breaches of duty, after which he devoted himself to the development of Rhodesia (later Zimbabwe). The later years of his life marred by ill health and troubled by native rebellions in Rhodesia. The deteriorating relationships with the Afrikaners, eventually led to the Boer War in 1899. Industrialist Cecil Rhodes Rhodes has rightly dubbed the railway and the electric telegraph the "pioneers of civilisation," and as such he has always stoutly advocated their extension. He devoted his energies to the development of the north and its resources and establishing telegraphic and, later on, railway communication between Cape Town and Cairo. Rhodes made his fortune in diamonds and the De Beers Mining Company. The Rhodes Scholarship is named after Cecil Rhodes, a British businessman, philanthropist and African colonial pioneer. The scholarship is an international postgraduate award for study at the University of Oxford, Oxford, England. Cecil Rhodes, while being essentially an Empire Maker, was not an Empire Ruler. His conceptions were far too vast to allow him to take into consideration the smaller details of everyday life which, in the management of the affairs of the world, obliges one to consider possible ramifications of every great enterprise. Rhodes wanted simply to sweep away all obstacles without giving the slightest thought to the consequences likely to follow on so offhand a manner of getting rid of difficulties. In addition to this disregard of vital details, there was a tinge of selfishness in everything which Rhodes undertook and which gave a personal aspect to matters which ought to have been looked upon purely from the objective. The acquisition of Rhodesia, for instance, was considered by him as having been accomplished for the aggrandisement of the Empire and also for his own benefit. The Colonial Office in London was treated by Cecil Rhodes with the utmost disdain on the rare occasions when it tried to put in a word concerning the establishment of British rule in the territories which he gloried in having presented to the Queen. Rhodes was master, and probably his power would have even increased had he lived long enough to see the completion of the Cape to Cairo Railway, which was his last hobby and the absorbing interest of the closing years of his life. The Cape to Cairo Railway was one of those vast schemes that can be ascribed to the same quality in his character as that which made him so essentially an Empire Maker. It was a project of world-wide importance, and destined to set the seal to the paramount influence of Great Britain over the whole of Africa. It was a work which, without Rhodes, would never have been accomplished. He was right to feel proud of having conceived it. By 1895 Rhodes was at the pinnacle of success and glory. A life-time's thought, no doubt, but only six years' ostensible work had enabled him to "paint the map of Africa red" to a greater extent than had been accomplished by the labours of previous centuries. And it was no mere painting of the map. Over a large part of this great dominion, 750,000 square miles in extent, larger than Spain, France and the former German Empire put together, order and settled government had been established; no internal or external danger to its peace gave cause for apprehension. The railway was being pushed on towards Salisbury from Mafeking and from Beira; Salisbury, Buluwayo and other townships had been put in touch by the telegraph line with the outside world. The ambitious scheme of the African Transcontinental Telegraph Company, formed in 1892, was almost entirely a creation of Rhodes's forethought and private capital. The chief object which the telegraph line was to serve, in Rhodes' mind, was that of forerunner to the railway and pioneer of white civilisation; but he was keenly alive also to the commercial possibilities of the line, which, he saw, would when completed compete seriously with the companies owning submarine cables between Great Britain and South Africa. It aimed to link up the whole of Africa from Cape to Cairo. To secure the through route he had begun negotiations with the German Government for way-leaves through German East Africa, and as a second string had obtained from Lord Rosebery's Government a treaty with the Congo State allowing him to run the telegraph along the western shore of Lake Tanganyika in exchange for the lease of the Lado Enclave. As his Trans-African telegraph approached Tanganyika, he began to be anxious about the strip between that point and Uganda. It is true that by the Rosebery treaty of 1894 provision had been made to connect the line through Congo territory, but unfortunately King Leopold had not received the stipulated payment of the Lado enclave; and Rhodes's opinion of that monarch was "that it will be very difficult ever to get him to any practical conclusion unless he has by far the best of the bargain." The alternative route to Uganda was through German East Africa. So in March 1899, on his way back to England from Egypt, where he had been making arrangements with Kitchener and Cromer for linking up his line with theirs, he paid visits to Leopold II and the Kaiser, to find out from which of the two monarchs he could get the better terms. Little is known of what actually passed in his private interviews with them, but the results are clear. He always afterwards spoke of Leopold with the utmost loathing, and as he came out of his room caught hold of our military attache, who happened to be passing, and hissed in his ear: "Satan, I tell you that man is Satan." At any rate he got nothing out of him. With the Kaiser he found himself at once on the best footing. The interview in May 1898 seems to have started happily with the genial interchange of chaff about the Kaiser's telegram of January 1896; and when it was over Rhodes came out with a promise that he should have every facility for taking his telegraphs through German East Africa. The Kaiser was about to visit England and wanted to improve English feeling by publishing the fact of the agreement. Germany would assent to the railway and the telegraph lines passing through its colonies, and in return for doing so his Government would require a substantial quid pro quo, and would demand a large share in the profits which accrued from the section of the lines which passed over German soil. Within less than a year of this agreement the telegraph line had been laid over fifty miles in German territory. Rhodes was certainly of the opinion at this time that it would follow the telegraph-wire through German East Africa, and there is small doubt that the German Emperor and his Government would have placed very little difficulty in the way of this being done. It was in the early days of Mr Rhodes' political career that there first occurred to him the idea for a railway to cut right through the heart of the Dark Continent and to connect Cape Town with Egypt and the Mediterranean. The dream of an "all-red" railway line from the south to the north of Africa seized hold of his imagination, and the more he dwelt upon it the greater his determination to carry it out. His idea of "empire-making " in Africa did not stop short at the Zambesi, or even at the lakes. On and on he desired to go, absorbing the whole of the unclaimed portions of Africa in his gigantic scheme, until the whole of the interior was dominated by the British flag. The sea alone was to be the boundary. The first section of the Cape to Cairo railway Rhodes proposed to lay was from Salisbury across the Zambesi through N.E. Rhodesia to the southern end of Lake Tanganyika: the Imperial Government had already agreed to a railway in Uganda, and Rhodes had arranged with his friend Kitchener to bring the Egyptian and Soudan system to the northern border of Uganda; arrangements were even made for securing that the gauges of the Egyptian and South African systems should be identical: the only portion left over, therefore, was from Tanganyika to the south of Uganda, which Rhodes hoped could be settled with the German or Congolese Governments. The demand Rhodes made on the British Government was for a guarantee on the section from Salisbury northward to Tanganyika. Chamberlain, the British Foreign Minister, was at first not averse to the proposal; but Hicks-Beach, the Chancellor of the Exchequer, would agree only upon such impossible conditions that Rhodes gave up the idea of a Government guarantee in disgust. The route was changed from a north-easterly to a north-westerly direction chiefly in order to tap the recently discovered Wankie coalfields: this route had the additional advantage to Rhodes's eyes of crossing the Zambesi just below the Victoria Falls. There was a friendly sort of rivalry between Rhodes and Lord Kitchener of Khartoum, Sirdar of the Egyptian army, as to which was making most progress — Kitchener from the north and Rhodes from the south. Just before the opening of the railway to Bulawayo, in 1899 Kitchener was very short of engines for the Soudan Railway to enable him to push forward his campaign against the Khalifa. Rhodes, although he badly needed them, gave up to him two or three of the engines built for the Bechuanaland railway-line. Without them the railway could not possibly have been pushed on that year. The junction of the Congo Free State and German East Africa effectually put an end to the "all-red" route across the continent, and though Rhodes did all in his power to rescue even the smallest ribbon of territory for Great Britain across which his iron road might run, his efforts resulted in failure. The Imperial Government was averse from undertaking any further responsibilities in Africa, and Rhodes was forced to yield. As a result of the World War the whole of the route, by land and inland waterways, lay in British territory. Once the Great War was over and the control of German East Africa passed out of German hands, renewed interest was taken in the realization of Cecil Rhodes' dream—the Cape-to-Cairo Railway. With the dawn of the year 1920 the British government, through its Air Ministry, stood ready to begin a regular aviation service from Cairo to Cape Town. The total flying distance is about 5,200 miles, most of it over the trackless jungle of equatorial Africa, yet the official announcement of the enterprise places the actual flying time at fifty-two hours, or, say, a week flying eight hours a day. Throughout the year 1919 three British exploring parties were, at work surveying and preparing the route, building aerodromes, acquiring landing fields from local chiefs— a year of hard and dangerous work of which the world knew little or nothing. ... As a result of a year's hard work by thesd pioneers in the African wilderness, the most uninviting region for airmen in the whole world is now traversed by a fully equipped route, with aerodromes or landing ground* at intervals of 200 miles or less from the mouth of the Nile to the Cape of Good Hope. By 1920, with the Nile Valley Railway included, fully two-thirds of the Cape to Cairo was completed. While the construction work on this completed southern one-third has not been an easy matter at all, the difficulties were not to be compared with those which faced the constructors through the central one-third, and in any case the difficulties of constructing a railway through the swamps of the southern Sudan would be extreme. No definite route for it had hitherto been laid out, and, broadly speaking, there was considerable choice of alternatives over the greater part of the distance which still separates the railways of South Africa from those of the Egyptian and Sudan systems. The weak point of the proposal to build the Cape to Cairo Railway was that so few people wanted to go from the Cape to Cairo. The Cape-to-Cairo system would never be a through route for goods on any considerable scale. It is obvious that sea freight must always be cheaper than railway freight over such a long distance as 4000 miles, and also over much shorter distances. A railway has to live, and must go in search of traffic.